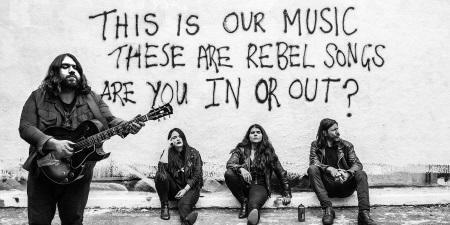 UK neo-folkies The Magic Numbers have released another single from new album Outsiders. Ride Against The Wind is an upbeat rocker, with all their signature four-part vocals in place. Note the Seventies effects during the short guitar solos. Outsiders will be released on May 11th on their own label Role Play Records in Europe and thru Park the Van Records in the States. HCTF review of Sweet Divide.